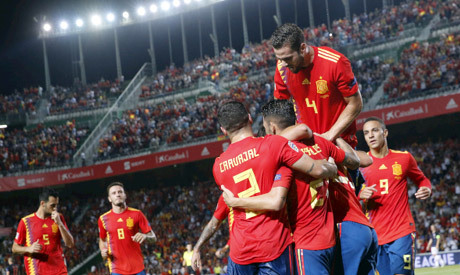 Spain's golden era is often described as being constructed on a base of Barcelona players but the team's future looks set to revolve around footballers from Real Madrid if the resounding 6-0 hammering of Croatia on Tuesday is anything to go by. Real forward Marco Asensio dominated the headlines with two venomous strikes against Croatia -- the second was officially given as an own goal to goalkeeper Lovre Kalinic -- and three assists. Asensio's club team mates Sergio Ramos and Isco also scored in the biggest defeat in Croatia's history.